The T.Flight Hotas One Joystick from Thrustmaster is a programmable joystick designed for the Xbox One and PC to provide an exciting flight-sim experience. It has a total of 14 action buttons, five axes, a rapid-fire trigger, a multi-directional hat switch, and a detachable throttle. With it, you'll be able to play flight simulation games and even combine it with other peripherals for a more complete experience. 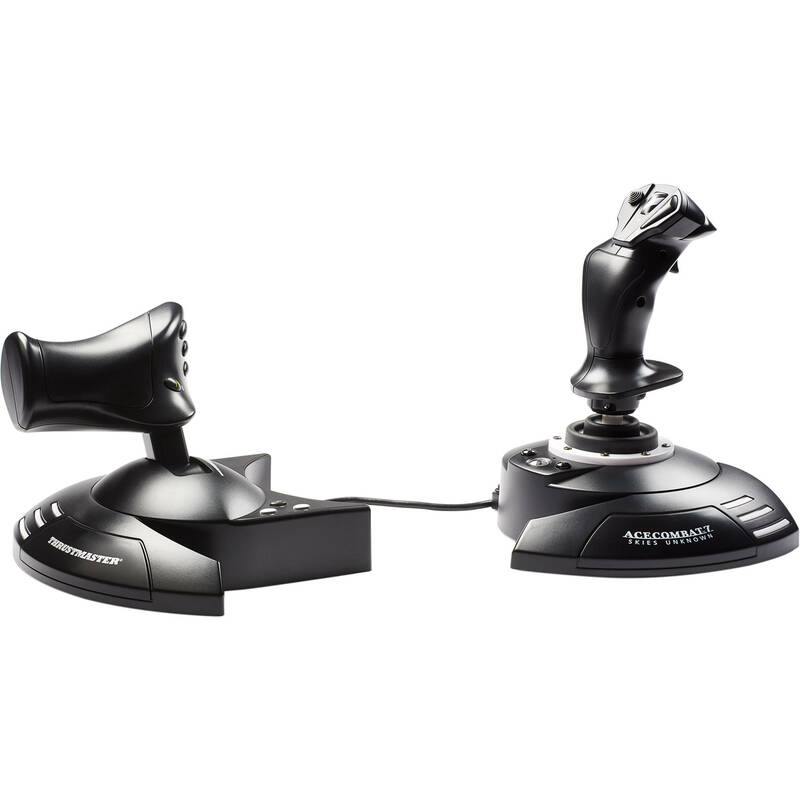 This edition of the T.Flight Hotas Joystick is officially licensed by Bandai Namco for the 20th anniversary of Ace Combat. It features mapping optimized for Ace Combat 7 and is plug-and-play compatible. Box Dimensions (LxWxH) 10.5 x 10.5 x 9.7"
T.Flight Hotas One Joystick (Ace Combat 7 Skies Unknown Limited Edition for Xbox One and PC) is rated 5.0 out of 5 by 1.